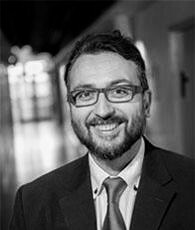 Prof. Ciabuschi teaches International Business at Uppsala University, Department of Business Studies. He received his P.h.D. from Uppsala University in International Business. He was a visiting scholar at INSEAD (France) and at Stanford University (USA). Prof. Ciabuschi has been published in several international journals and in chapters in a number of anthologies. His research interests concern management of multinational corporations, top management behavior, knowledge development and transfer in multinational corporations, subsidiary evolution and innovation management.